I planted this last year. It bloomed all season continually!! When I received this Clematis Rosemore Gardini, today, I was very pleased with the excellent packaging and the heathly, beautiful plant. Can't wait to see it flower. My faith in and confidence with WFF has been confirmed, again. I bought 2 Rosemoor Gardini and neither are wine red. They are purple. They are both similar to the color of the Etoile Violette shown on White Flower Farm's site. I bought this Clematis in May of 2015. We are in Zone 5. About an hour West of Chicago. It shipped and I planted it exactly as instructed. There was some growth, but nothing great. I thought it may just need to get used to it's new home. I left it alone aside from watering it and it just looked sad. In May, 2016 it didn't seem to be alive, so I contacted WFF, and they sent me another one. A bit better, I believe I had 2 blooms in 2016. Well in June 2017 I finally have buds/blooms. Right now there are 7 that are completely open and gorgeous and about 100 more buds!!! We have it around the lamppost in our front yard, all the blooms/buds seem to be on the 'old' growth from last year. I have no doubt it will fill in and I look forward to that time. But am loving what I have now. So glad I didn't give up!!!! Impressive! I want more of them! In the Fall of 2015 I bought two Rosemoor Clematis to give them a try. Usually clematis take 3 years to mature and bloom abundantly but these two plants grew vigorously and knocked my socks off their very first Spring! They are doing better than clematis vines I have had for 3 & 4 years! I just ordered 6 more plants so they can surround my Victorian porch. - I am not an experienced gardener, half of what I plant often dies. I planted them on the North East side of my porch which gets part sun at best (tree cover makes it a bit shady). 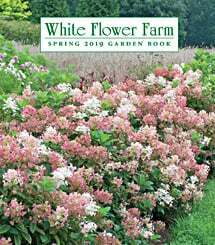 I am not big on fertilizing much but did sprinkle fertilizer for flowers around it in early spring and gave it miracle grow for flowers attached to my hose once. It was attacked by aphids but a spray stopped that problem. - It is flowering and growing like crazy, I love it!! !